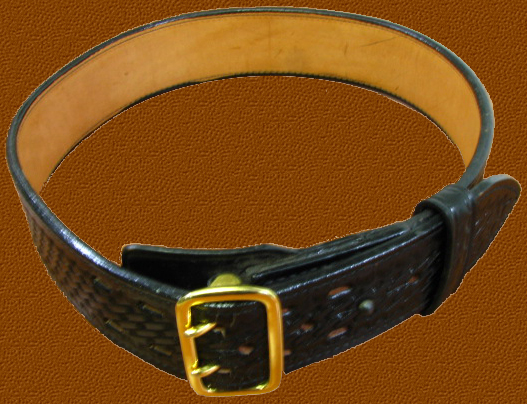 Sam Browne Belt with Quick Disconnect Buckle. This belt is made with an exterior of full grain cowhide, and is fully lined with full grain cowhide. One third is stiffened with a third layer of leather to provide rigidity for use with a security holster. Available in plain black, or basketweave, in even sizes from 28 to 46" waist.